Image by Leonid Yaitskiy via Creative Commons. These are the words of Ng Wee Wei, Managing Director (Health & Public Service) at Accenture, in Singapore. He made this statement on the day Singapore was ranked number one for digital government, in a comparative study carried out by Accenture. Ranking first in the Networked Readiness Index 2015. In my latest article on digital government around the world, we’ll take a look at how this island city state has become a global leader and what can be learned from their experience. In the 1970s the Singapore government realised that they were unable to compete with the larger labour-intensive economies. As a result, they identified ICT as a way of improving economic performance, particularly through increasing labour productivity, making processes leaner and more efficient, and delivering better services to customers. In 1982, the government launched the Civil Service Computerization Program (CSCP). The programme’s main objective was to enhance public administration through the effective use of ICT. This involved developing new business processes, automating work functions and reducing paperwork for greater internal operational efficiencies. In essence, it provided the foundation for subsequent e-services. Throughout the 1980s and the 1990s the government started to develop the programme. For instance, the National Information Technology Plan (NITP) was introduced to support cross agency collaboration. This led to the creation of “TradeNet”, an application that enabled exchange of documents between the private sector and various government agencies. “All government services that can be delivered electronically shall be delivered through electronic means”. The second e-Government Action Plan (2003-2006) emphasised improving the customer experience, connecting citizens with each other and fostering collaboration between government agencies. The third, iGov2010 Masterplan (2006-2010), had a strong focus on integrating government services, making sure that processes cut across agencies. In addition, increasing the e-engagement of citizens was also a key objective, particularly in fostering greater bonds within different communities, such as young people. Most recently, the government introduced the eGov2015 Masterplan (2011-2015), which outlined the vision of collaboration between the government, the private sector and the people through digital technologies. There was also a recognition that the government should act as a platform provider to encourage greater co-creation of new e-services. Singpass (Singapore Personal Access) was introduced in March 2003 and enables citizens access to government e-services, from over 60 government agencies via a single platform. In total, there are 3.3 million registered users, with transactions increasing from 4.5 million in 2003 to 57 million in 2013. The system provides a high level of security for users, as well as removing the need for agencies to develop and administer their own. In July 2015, an Enhanced SingPass was introduced. It included improvements such as the option to customise the SingPass ID, mobile-friendly features, and stronger security capabilities. However, the updates proved to be so popular that on their initial release the website was temporarily inaccessible due to high traffic. data.gov.sg was launched in June 2011 and is Singapore’s first stop portal for publicly available government data, as well as applications developed using government data. The portal has increased to over 8,700 datasets (covering a range of themes, from business and the economy to housing and urban planning), with contributions coming from over 60 government agencies. The government has introduced schemes such as ideas4apps Challenge and Harnessing Data for Value Creation Call-for-Collaboration (CFC) to encourage the creative use of government data. One example from the portal’s showcase is FixMyStreet, an app which allows citizens to report, view or discuss issues with public facilities, such as litter and broken lifts. eCitizen was introduced in 1999 and is the first-stop portal for government information and services. When the portal was first introduced it pioneered the concept of cross-agency, citizen-centric government services, where users transact with ‘one government’ (the ability to access several government services via the one website). In 2013, the eCitizen portal was recognised for “Outstanding Achievement” in the Government category of the Interactive Media Awards. It beat 137 other nominees to the award, which evaluates entries based on: design; content; feature; functionality; usability; and standards compliance. Since the portal’s redesign in 2012, there has been a 65% increase in visitors, with significant improvement in the success rates of searches (up to three times). What key lessons can countries learn from Singapore? Singapore has had the same political party in charge of its Cabinet since 1959. This high level of political stability is rare, unlikely to occur in most countries and not necessarily desirable for democracy. However, it does highlight the importance of some level of continuity for progressing a digital agenda, whether that’s within the same government or across different government administrations. The use of government intervention to create opportunities for the private sector and providing effective working partnerships has been very successful in Singapore. This ‘catalyst’ role has encouraged innovation and supported the creation of a successful ICT industry. 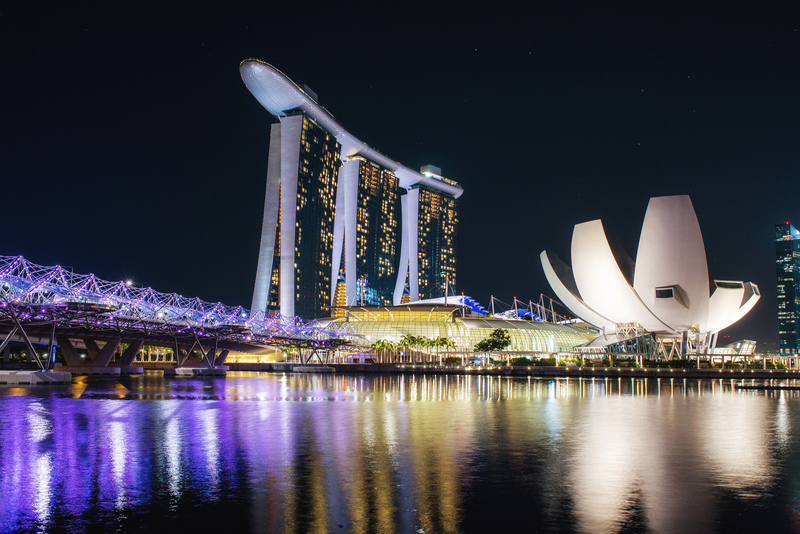 Singapore’s willingness to adopt technologies at an early stage has proved to be a success. For instance, the National Library of Singapore adopted RFID (radio-frequency identification) technology, the use of radio waves to automatically identify people or objects, even though it was relatively untested at the time. Singapore has been successful at creating a strong foundation for e-government and is deserving of all its accolades. The success has been built on a combination of factors including political willingness and economic policies. However, what has also been important is the country’s ability to learn from each stage in its development. As the country moves forward, key issues such as cybercrime and privacy concerns will have to be addressed. In 2014, there was a security breach involving 1,560 Singpass accounts. A year later, the government introduced a new central government agency for cybersecurity operations. It’s hoped that this central agency will be able to bolster the country’s critical ICT infrastructure. It’s these measures, and its ability to act swiftly, that will hold Singapore in good stead for the future. This is maybe the real lesson for those looking to emulate Singapore’s e-government success. The UK digital economy: how can the government support digital businesses? IDOX Plc announced on 8 October 2015 that it had acquired the UK trading arm of Reading Room Ltd. Reading Room, founded in 1996, is a digital consultancy business with a focus on delivering websites and digital services that enable its customers to make critical shifts into digital business and client engagement. It has an international reputation for its award winning and innovative approaches to strategic consultancy, design, and technical delivery. Image courtesy of Pixabay via Creative Commons. Continuing my series on digital government best practice, I will be looking at the success of Norway and what they hope to achieve through their Digital Agenda for Norway (DAN) strategy. Norway is already a leader in “digital government”, ranking second only behind Singapore in a study carried out by Accenture on implementation progress and citizen satisfaction. 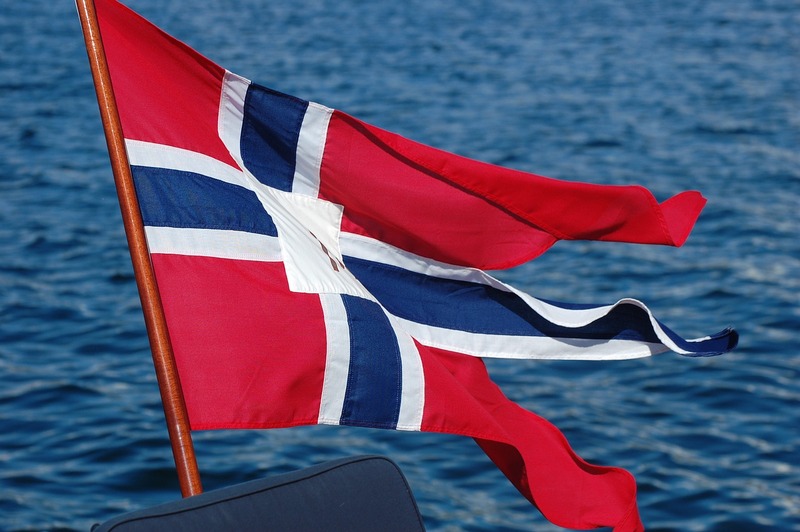 The Norwegian State Secretary, Paul Chaffey, suggests that this success has been built on a foundation of a population of tech savvy Norwegians, with a history of being at the forefront of cutting edge technology. For instance, in 1973 Norway became the first country to connect to the US’ ARPANET, which was the military predecessor to the Internet. And more recently, maritime and off-shore technology developments in Norway have become of global importance. In particular, the use of Big Data modelling plays a significant role in finding new oil fields. In 2000, the government presented the eNorway action plan, a set of ICT initiatives designed to support the development of the ‘knowledge society’ and improve the lives of the people of Norway. The plan consisted of descriptions of the individual ICT initiatives of ministries, as well as common frameworks to support joint initiatives. Then, the government introduced eNorway2009, a strategy that would take Norway a ‘digital leap’ forward. It argued that the public sector had to be viewed as one unit, if digital progress was to be made. Therefore, the new strategy focused on the use of multi-disciplinary initiatives and projects. There was also a recognition of the need for cooperation between all sectors and levels of the public sector, as well as the private sector. A major development has been the implementation of the hub, ID-Porten, which verifies citizens via electronic IDs (eID). It allows citizens to securely login to government digital services via a single login portal. There is also a common technical platform (ID Gateway), which allows citizens to login to services using four different eIDs: MiniID; BankID; Buypass; and Comfides. BankID, Buypass, and Comfides all provide access to a high level of security (level 4). These IDs are required when accessing personal data and only issued to individuals who appear in person. However, MiniID provides only a medium-high security level (level 3) and pins codes can be sent via mail or through SMS. This is the most common eID (used by almost 2.7 million citizens) and provides access to digital services provided by the tax services and the Norwegian State Educational Loan Fund. In 2003, Altinn was launched to provide a single web portal for public reporting. This was driven by the amount of time Norwegian businesses were spending on statutory reporting. To resolve this problem, the three large public agencies in Norway – the Norwegian Tax Administration, Statistics Norway and the Bronnoysund Register Centre – started Altinn. However, the project has now moved beyond that of public reporting. Now it’s responsible for providing an array of electronic forms (over 700) and digital services, as well as providing information for businesses. The most used service by citizens is the completion of tax returns online. In 2009, more than 440,000 businesses chose to do their statutory reporting through Altinn. This is the main information portal for the Norwegian government. It has a user friendly design and in many ways is similar to the UK Government’s website GOV.UK. In 2013, the Norwegian government published the white paper on the Digital Agenda for Norway (DAN). The strategy is linked to the Digital Agenda for Europe, and is also related to the Europe 2020 strategy. This has been the philosophy from the early stages of Norway’s digital development. The DAN highlights that greater digitisation is inevitable but notes that it will be important to identify areas with the greatest potential for development. Public sector information – increasing the accessibility and reuse of public sector information. Digital services for citizens – improving digital registration for property rights and creating a paperless justice sector. Commons technical solutions – the development of digital mailboxes for citizens and businesses, the use of digital document exchange, and the creation of common registers to support the public sector. Organising and coordinating for more efficient use of resources. Adapting laws and regulations to a digital public sector – requiring digital communication to be the standard method of communication for the public sector. Norway has earned their reputation as a ‘digital leader’. Over the years, the government has set out a series of clear policies to support the transition to the digital age. Although not perfect, significant improvements have been made. For instance, 93% of Norwegian households now have access to the internet; this figure was only 55% in 2003. The new DAN presents Norway with an opportunity to continue the success of recent policy initiatives. And on recent evidence, this is a clear possibility. However, with other countries looking to improve their performance in digital government, it will be interesting to see if they will overtake Norway in international comparisons or if Norway’s sustained focus will pay off and enable them to be the world’s number one in terms of using digital services to increase citizen engagement and improve service delivery. IDOX specialises in election services, with Idox Elections offering end-to-end solutions for electoral management systems. Idox was awarded a number of contracts to support the Norwegian municipal and county elections held in September 2015. This follows Idox’s success in delivering similar election services during the Norwegian General Election of 2013.